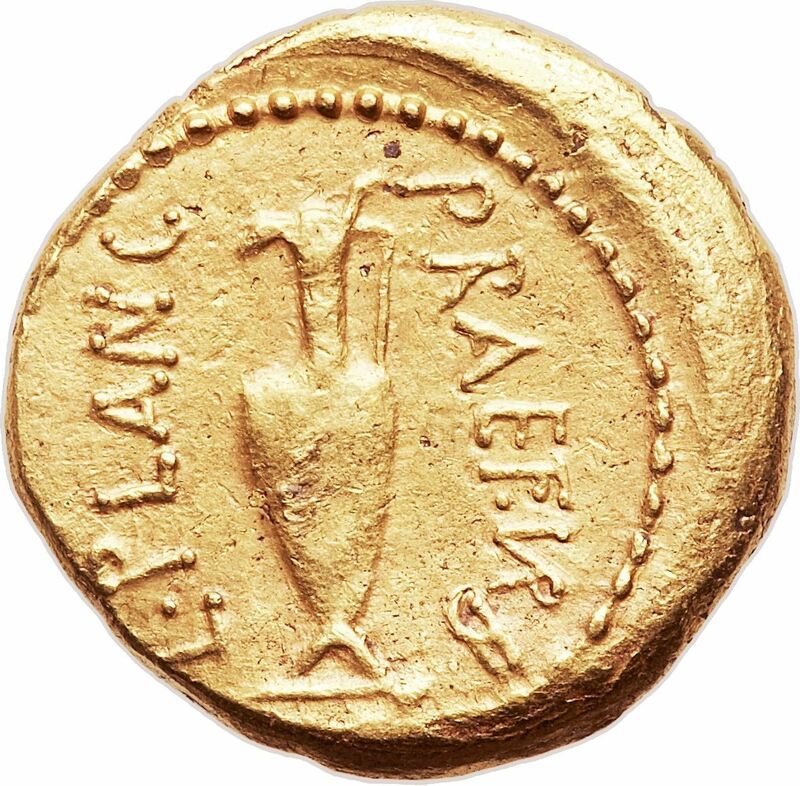 L. Plancius was Praefect Urbanus in 45 BC, and struck coins jointly with Julius Caesar. Gens Plancia was a minor plebeian family of equestrian rank at ancient Rome. Few members of this gens are mentioned in the time of the Republic, but a family of the Plancii rose to prominence from the time of Vespasian, and held a number of important magistracies through the time of Hadrian. Other Plancii are known from inscriptions. The nomen Plancius is derived from the common Latin surname Plancus, originally referring to a person with flat feet. The Plancii must therefore have been Latins. Chase classifies them among those families that either originated at Rome, or cannot be shown to have originated anywhere else. However, the Plancii known to Cicero hailed from Atina, a town in southern Latium that had been taken during the Samnite Wars.